ATS International has announced that VisualPlant has been named the global corporate software solution by Visteon Corporation, one of the world's biggest automotive suppliers. Visteon Corporation, an $18 billion manufacturer, will now be expanding its VisualPlant installations to a total of 23 plants in North America and Europe. The manufacturing intelligence software is already installed or currently under installation in seven of the company's plants to provide plant management with a decision support tool and to increase operational visibility. Specifically, VisualPlant is being used in production applications for product tracking and machine and production monitoring. VisualPlant is a leading off-the-shelf manufacturing software that analyses the activity of every machine in the plant and feeds this information live to employees' desktops. What happened last month on a plant floor could be compared to what is happening right now, to improve total plant efficiency and build a better link to the supply chain. 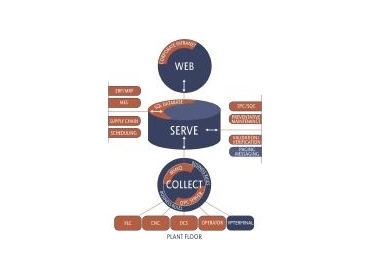 It is a live, direct and secure connection to the machines on the plant floor with a simple interface that can be configured by any user to monitor and analyse any key performance indicators from the plant floor.